Plato briefed the media in Cape Town on the City’s housing plans over the next three years. He says R590 million budgeted for the current financial year is set aside for the allocation of 36 housing developments which are either in the planning phase, underway or in the process of being finalised. Plato says another R4 billion has been allocated for the development of informal settlements. “A couple of issues very important for the City of Cape Town, is to provide as many housing opportunities, which is not all possible, but we try our best. For that purpose, we budgeted R2.1 billion for new housing opportunities. The R4 billion will never be used in one financial year. We phased it in a period of three to four years,” says Plato. 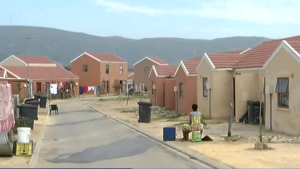 The post Cape Mayor Dan Plato puts over R2 billion on housing appeared first on SABC News – Breaking news, special reports, world, business, sport coverage of all South African current events. Africa's news leader..